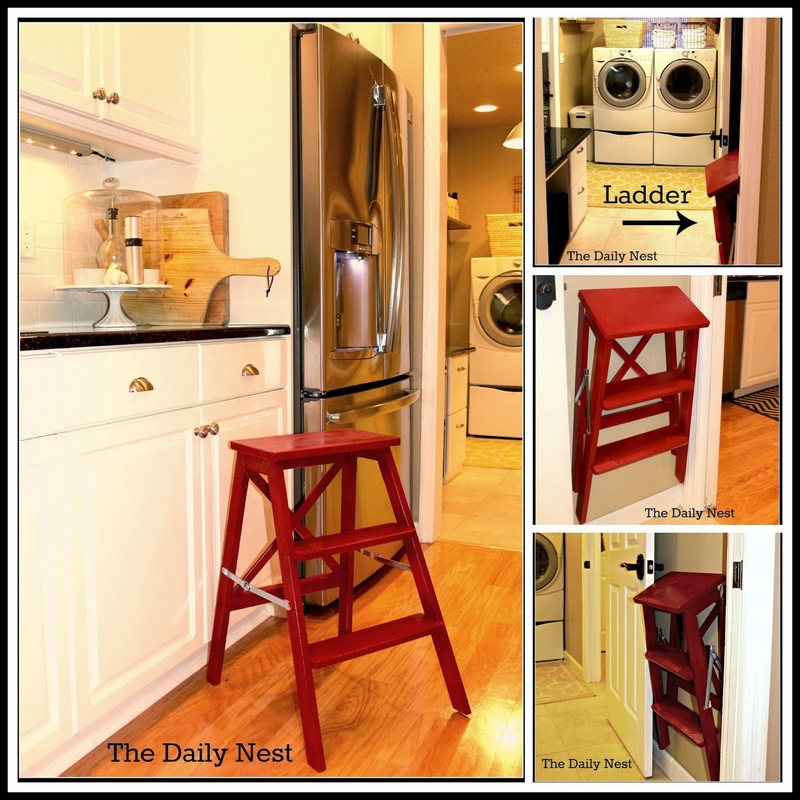 I finally got my new little step stool painted and hung for the kitchen! It's the Bekvam Stepladder from Ikea and it's super cute! It's $34.99 and comes in an unfinished Beech wood. I sprayed it with Rust-O-leum spray paint in (gloss) Red. It didn't take me too long to put it together either. I hung it right outside the kitchen in the laundry room, so now getting things out of the top cabinet won't be a problem anymore! It also comes with this nifty little bracket to hang it with. So it folds up nicely and out of the way. So that's one less thing I have to call my husband for! Btw! This comment is from one of my dearest bff's! She doesn't mind if I call her a smartypants! Did you actually spray it yourself, as in hold the can, push the button? Or, did you pick the color? lol - Either way it looks maaaavelous.